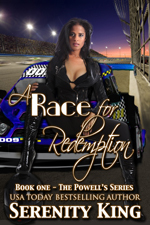 A Race for Redemption (The Powell's Series). 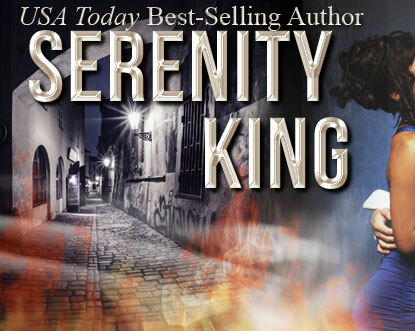 The Second book in series will be coming out in November. A powerful conglomerate, Powell Industries has entered the world of stock car racing. It isn't too risky an endeavor since the CEOs daughter's favorite things are driving fast and fast cars. As beautiful as she is driven, Tracey Powell is one of the most talented drivers on the circuit. However, a string of wrecks has caused her father to make a change. Now her former trainer is driving the Powell industries car. Determined to reclaim her place behind the wheel, Tracey battles her way back. Now Tracey's not only looking to be the first African American woman to bring home the trophy---she's also looking for Redemption. Shane Westbrook has been the reigning champion five years running. His life is grand as a result. He has everything: money, respect, and all the women he could want. The trouble is that he doesn't want just any woman. He wants the one woman who walked away---Tracey. With the last two races coming up he knows Tracey is thinking about winning. The race is on---the prize has yet to be determined.